Is Uncontested Divorce A Better Option For Couples Seeking Separation? Divorce can be a painstaking and difficult period of time for a couple. However, obtaining information pertaining to different approaches to divorce can allow them to make a better decision pertaining to their future. Due to the expenses associated with litigations, many spouses who are looking for a divorce opt for an uncontested divorce. An uncontested divorce refers to an arrangement where both spouses seek to terminate their marriage contract by arriving at a mutually acceptable agreement pertaining to the final divorce settlement rather than taking their case to a trial in court. Simply stating, an uncontested divorce means that both spouses are able to sort out their disputes and differences without intervention of a judge. Therefore, in the event of an uncontested divorce, terms of divorce are negotiated by spouses rather than by a judge. 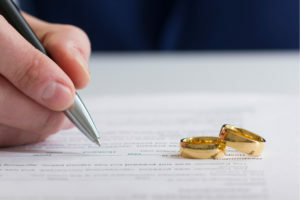 On the contrary, in case of a contested divorce, terms of divorce are not in control of the couple seeking separation, rather a judge decides these terms by reviewing facts and circumstances pertaining to the case under Illinois Marriage and Dissolution of Marriage Act. Is Uncontested Divorce a Better Option? There are several factors which make uncontested divorce a more favorable choice for spouses who are seeking a divorce. Firstly, an uncontested divorce is a considerably less expensive option compared to contested divorce. This reduction in cost is primarily due to less amount of time spent in court and fewer proceedings and formalities required than a contested divorce. Secondly, opting for an uncontested divorce may expedite the divorce process, allowing the spouses to wrap up the matter in a few days or months. On the contrary, in a contested divorce, the case may last for several months or even years. Furthermore, uncontested divorces are more private than contested divorces. Even though the divorce agreements are submitted in court and, therefore, become a public record, there is no requirement to make disclosures, made to one another, to be publicized. As a result, uncontested divorce reduces stress, saves money, and leads to a better post-divorce relationship between the spouses. That being said, it can be highly beneficial for your case to hire an experienced divorce lawyer during an uncontested divorce. Your attorney will be able to protect your best interests. Moreover, a competent divorce lawyer will make sure that your mutual agreement document and other legal formalities pertaining to your divorce are free from errors and ambiguity. This will help you to avoid any legal complications in future. For further information about issues pertaining to uncontested divorce or to schedule a free consultation, contact Law Office of Fedor Kozlov at 847-241-1299 to speak with an experienced divorce lawyer on this topic.